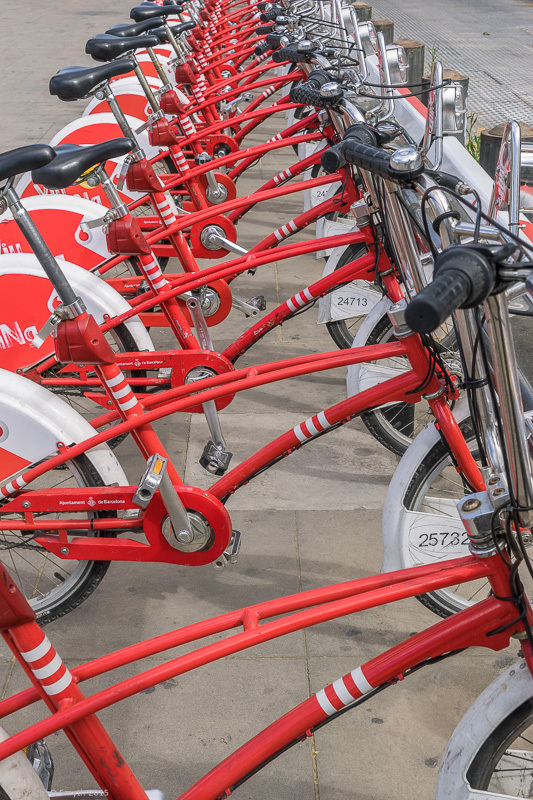 These rental bikes, now sponsored by Vodaphone and unmissable in red and white with a strident Vodaphone branded mudguard, are part of the public transport scheme in Barcelona. You’ll see them dotted all over town. Sadly, they are not readily available to tourists. 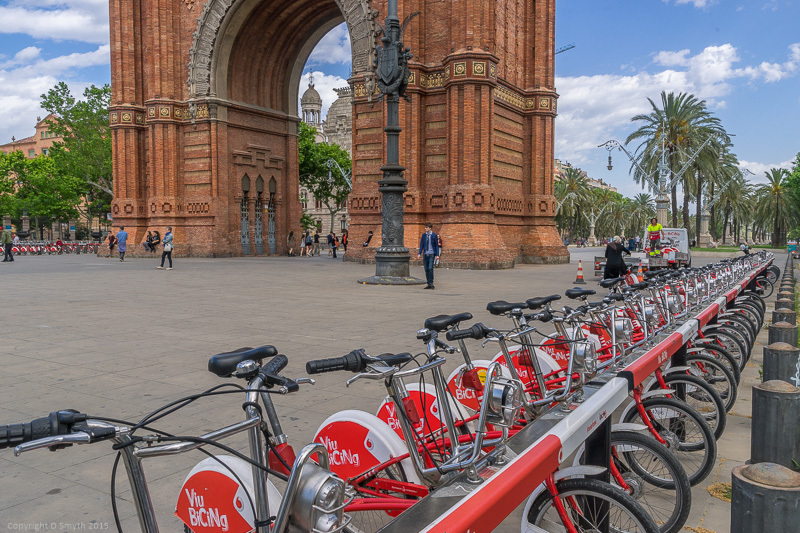 When the scheme was set up in 2007 a number of bicycle hire companies complained about the likely loss of business from tourists and as a result certain restrictions were put in place, such as only sending the membership card to Catalunya residents. As a result, rather than riding them, I used them to provide a vivid foreground to my photos!